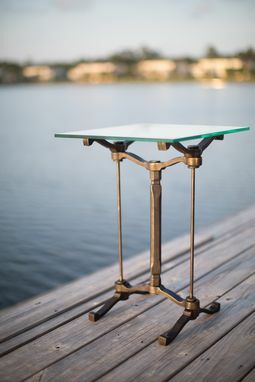 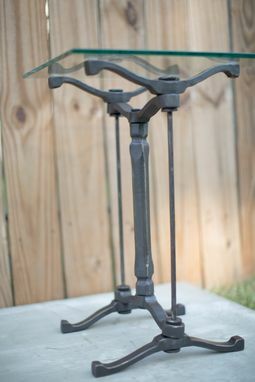 This end table design was inspired by forging techniques used in heavy industrial applications in the Victorian era. 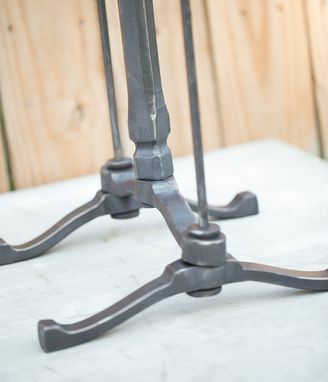 All components have been heavily forged using a power hammer. 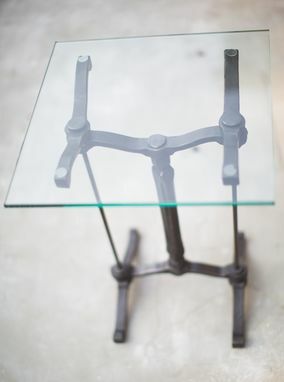 All joinery is traditional, and there is no electric welding in this piece. The table is 23" tall, and has 16" square glass top.